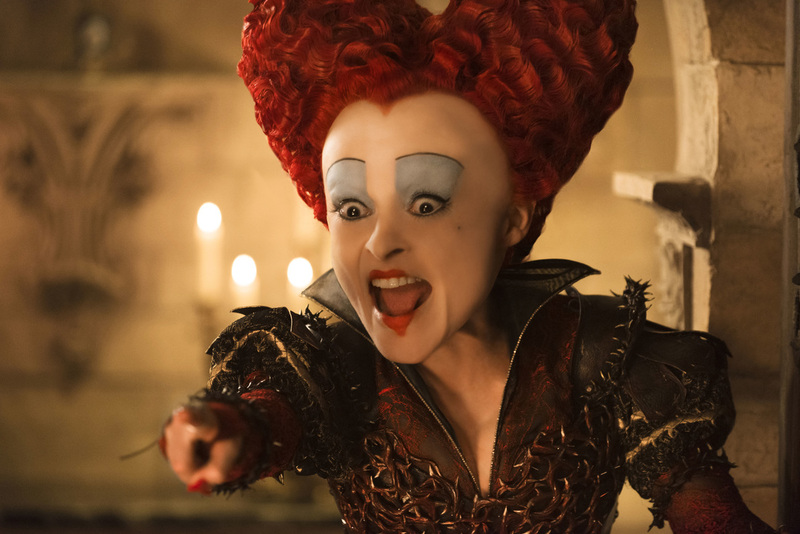 A movie review of ​ALICE THROUGH THE LOOKING GLASS. Female self-determination and eye-catching visuals (including that rarest of treats: dextrous use of 3D) are the sole standouts in a too slight blockbuster. Narrative pace is ratcheted up seemingly to mask the flimsiness of the story and characterisation. Everyone is given one trait, and that’s about it – far from enough to care about the protagonists’ plights. Bar Alice, the entire cast are either bonkers or daft. There is though warmth to the denouement, a sense of rapprochement so often sidestepped in mainstream cinema in favour of punishment and returning the world to the status quo. You would be forgiven to think that PIRATES OF THE CARIBBEAN 5 had come early, as a sea battle greets the audience, and sets the tone for the rest of the runtime. 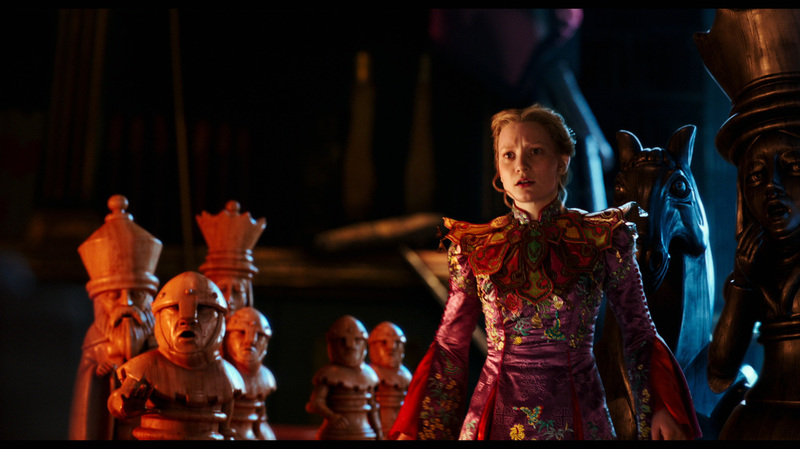 Alice (Mia Wasikowska – who has the acting chops and charisma to carry more tent-pole movies) is captain of the Wonder, a merchant vessel trading and exploring the globe, being chased by three frigates not holding back their attack. Capture/destruction apparently inevitable, Alice’s single major modus operandi, gumption, kicks in for a jaunty act of evasive daring. A couple of years later, 1875, and our lead is back in London and expected to segue into the pre-Suffragette role of demure woman, which thankfully is a societal outfit Alice refuses to adorn (more blockbusters should have this female chutzpah, she is a role model). 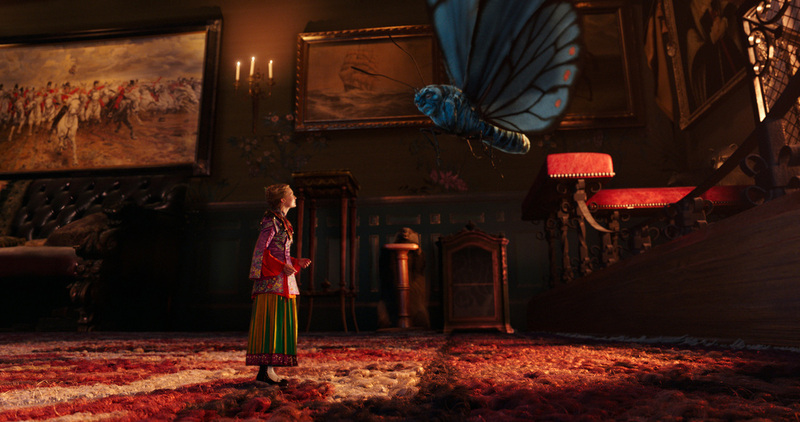 Given a difficult choice: Give up her ship or make her mother homeless, the Blue Caterpillar, now a butterfly (Alan Rickman), appears to bring her back to Wonderland. 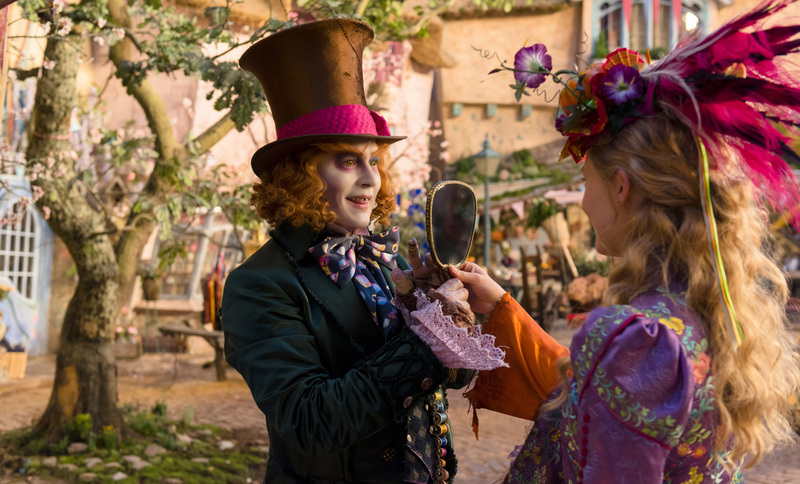 The Mad Hatter (Johnny Depp) has fallen into depression that cannot be shaken. 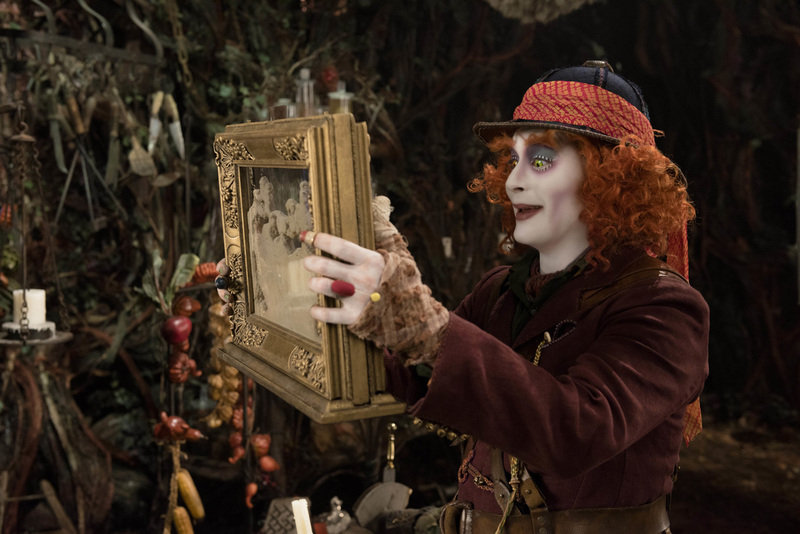 Depp is top billed but is actually in this picture for what feels like mere minutes, and when he is, he jars – as if bizarrely phoning in an over the top performance. Hatter believes his previously presumed dead family are actually alive. The combination of grief, and no one believing him, are causing Alice’s best friend to physically deteriorate before our eyes. The only solution proffered by their gang – the White Queen (Anne Hathaway – second billed and in the film even less than Depp), Bayard (Timothy Spall), Cheshire Cat (Stephen Fry), etc. 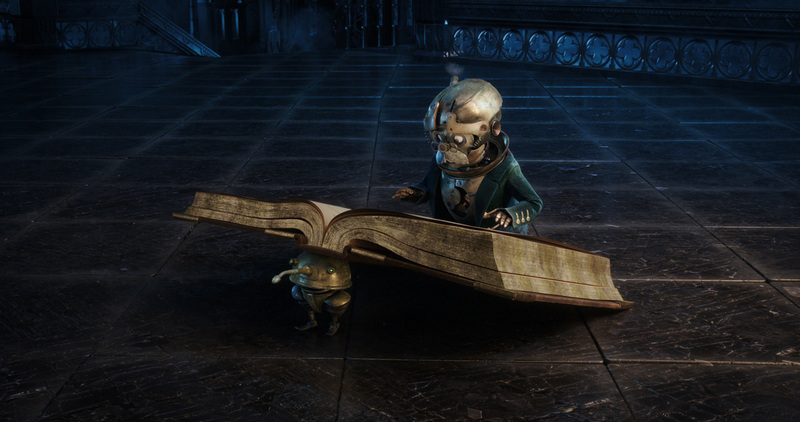 – is to go back into the past and save Hatter’s family. There is no quandary as to how that will mess up the present. The way to achieve this is to steal the Chromosphere, powering Wonderland’s clock, from Time (Sacha Baron Cohen – entertainingly playing one of his infinitesimal variations on the less than smart narcissist). 1. Alice is willing to put into jeopardy an entire world for just one person. 2. How can there be a time peril for the story when you have a time machine? Both of these queries are fudged so as to shrug your shoulders with the (implied) explanations. A candyfloss divertissement in the most minor of keys.